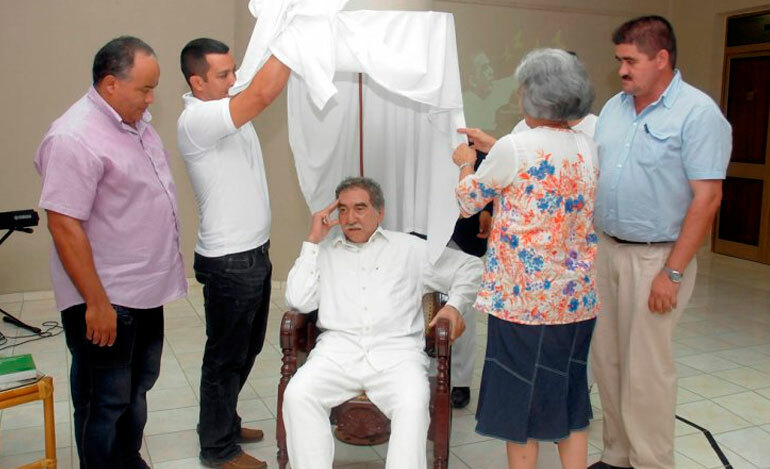 Dressed in white and seated in a meditative pose, the life-sized sculpture of Garcia Marquez was unveiled Wednesday in Cuba’s wax museum, local media reports. The unveiling marked what would have been the Nobel Prize-winner’s 88th birthday, reported El Espectador. “Gabo,” who was a close friend of Fidel Castro, is the third international guest in Cuba’s only wax museum, joining Ernest Hemingway and Fabio Di Celmo, an Italian tourist who died in a 1997 Havana hotel bombing. 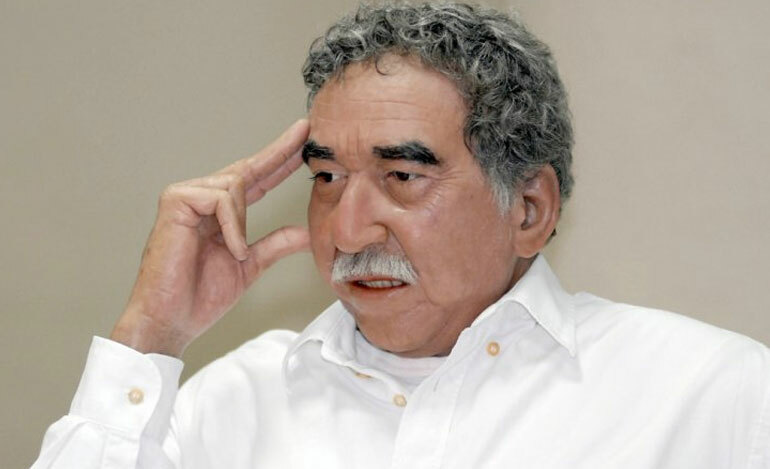 The death of Gabriel Garcia Marquez in April spurred three national days of morning in Colombia, as the president and and guerilla groups alike paid tribute to the country’s most prolific writer in recent history.